In a constitutional referendum earlier this week, Turkey granted its president Erdogan increased (some say dictatorial) power. 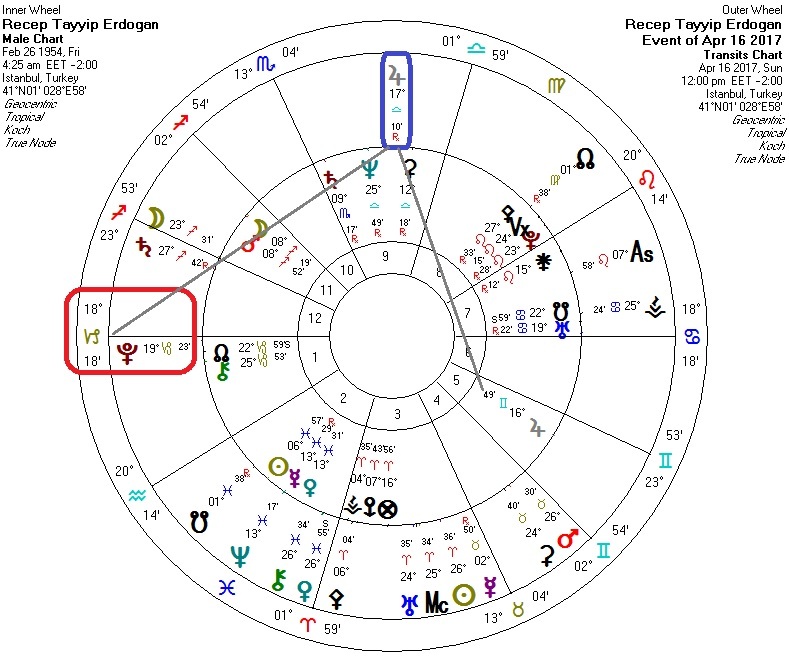 Transiting Pluto is conjunct Erdogan's Ascendant -- great power emerging. Transiting Jupiter is square his Ascendent-Descendant axis and trine his own Jupiter, suggesting expansion and/of prominence.